On a selective basis we are offering author mentoring and book editing services to writers hoping to get published. For now there are two basic packages that we offer. You’ll find more details of our book editing services below. At Booksoarus your writing is in safe hands. We are objective third-party professionals who read your submission, form an expert editorial opinion, give you an honest assessment and make suggestions that will benefit your writing. Who want to develop their writing into a conclusive body of work (example: a completed novel or a short-story collection, a completed collection of essays etc) after thorough assessment of your ideas and goals. I want to write a novel and I am very serious but I only have a vague idea. Write to us at info at booksoarus dot com with your name and what you intend to write. If you have already written a few chapters/pages tell us a bit about your body of work. Give us a brief bio including any writing related qualifications that you may have. Once we hear from you we will review your mail. In the event we need more information we will ask you for the same. We will call for your manuscript; it is okay if it is work in progress. We will customize a solution for you. Note: The report is optional (since calls with your mentor will touch upon the same factors) but is highly recommended considering that it is a robust one-stop document with complete information and guidance related to your writing. Since it is a customized solution depending entirely on how much writing you have completed or how much you intend to complete, we will quote to you only after ascertaining your writing goals and what you intend to achieve with our service. 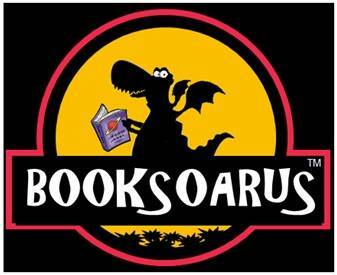 The Booksoarus team will read your work and customize a high end, unbiased critique of your work. Write to us at info at booksoarus dot com with your name and a brief description of your work including genre and intended audience. Tell us how much you want us to read. Minimum: 3000 words. Give us a brief bio including any writing related qualifications that you may have. Once we hear from you we will review your mail. In the event we need more information we will ask you for the same. We will call for your manuscript; it is okay if it is work in progress and we will customize a solution for you. Pricing: Please write to info@booksoarus.com with details of quantity of reading required and optional services required and we will provide a quote. Write to us with a brief bio for more details. Note: We are editors, not literary agents. Our focus is clear and there’s no conflict of interest in what we do. We work with you, not for publishers. Whether you are thinking of self-publishing or pitching to a traditional publisher, we’ll help you make your writing better. You edited my book. Now it is printed and out on shopping sites. The book is doing well. The name of the book is The Claim, if your remember it is about an insurance claim. I have mentioned about you in the acknowledgement page. The book is doing well. I lost your phone number and e-mail id due to some reasons. Do you file copyrights on the author’s behalf?